What is soil conservation, and what does it mean for us? Soil conservation includes a handful of techniques that are aimed at preserving the soil. Plants can’t live in just any old dirt, and many factors affect how well they can grow in an area. Any soil loss or loss of its fertility can be traced to a number of causes, such as over-use, erosion, chemical contamination, and salinization. The use of slash and burn clearing and unsustainable subsistence methods that are common in some regions of the world often lead to the sad reality of large-scale erosion, deforestation, loss of soil nutrients, and sometimes even complete desertification. 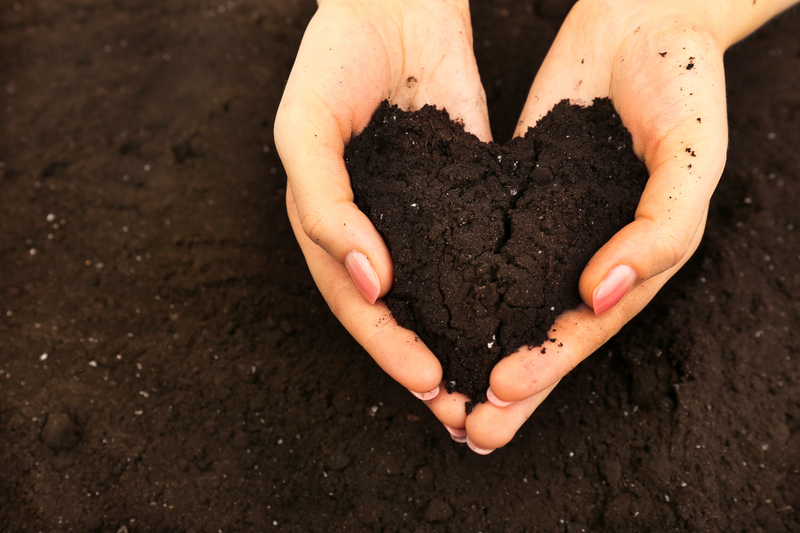 Over time, soil erosion removes topsoil that is necessary for organic matter, micro-organisms, and nutrients that are needed for any plants to grow. Some simple steps for soil conservation can help protect soil from being washed away into the nearby water sources. Not only does this affect the soil, but also leaves the water contaminated with pesticides and fertilizers that were used on agricultural land. Having healthy soil is necessary for our plants to grow and thrive, and in turn affects every living thing in the area as well as produce for our own populations. There are several ways you can help with soil conservation, and Ranger Mac will look at some of those steps below! Reduce Impervious Surfaces - Impervious surfaces are places like driveways and patios. These surfaces allow for precipitation to flow freely over them, and the water gains momentum. This quickened water can lead to erosion of stream banks and lake shores further down. An alternative to these smooth surfaces would be to use paving stones that allow water to seep down through them into the soil more naturally. Plant a Rain Garden - Create a rain garden by forming a shallow depression in your yard that will collect the rain water that washes over those smooth surfaces like your patio or driveway. This helps prevent that soil erosion and gives you a fun opportunity to grow some wetland plants as well! Use a Rain Barrel - Making a simple rain barrel that you can place underneath the downspout of your home will collect that rain water that runs off of your roof. Your roof is yet another smooth surface, and after collecting the water that runs off of it, you can then recycle that rain water to hydrate your lawn and garden. This conserves your home water usage while also putting that rainwater back into the soil more slowly, helping combat soil erosion. Use Terrace Farming - This is a type of farming that uses the top portion of the land to slow the water flow through different levels on a series of terraces. Using this type of water manipulation helps prevent it from gaining speed and washing away the soil from your farmlands. No-Till Farming - If you don’t till your farmland, your crops will remain in place rather than be plowed under at the end of the farming season. Using this practice will help keep the soil anchored in place instead of having the bare ground exposed to the wind and water. Contour Farming - This type of farming is similar to terrace farming, but in a less extreme way. Instead of your crops being planted in vertically raised rows, they would be planted following the shape of the landscape. If you plant your crops up and down the hillsides, you help create paths for the water to flow, and it will gain speed. Instead, crops planted parallel to the land will slow the flow of the water and help prevent soil erosion. Salinity Management - As water evaporates from the soil, it leaves behind salt. This salt can lead to soil damage and nutrient loss. If you use a humic acid or grow crops like saltbush, it can help prevent this salinity from developing and rejuvenate the soil as well as replace lost nutrients. It's important to keep a close eye on the salinity of your soil and make sure it doesn't get out of hand. There are ways we can all think ahead on a larger scale, as well as at home. If we plan it out now, we can help with soil conservation for years to come! Plant Windbreaks - Windbreaks help prevent soil erosion by slowing down the force of the wind over open ground. To achieve this, you can simply plant tress or shrubs. These plants will also protect your home from wind damage and prevent snowfall from drifting onto your driveway or into the road. Buffer Strips - Placing buffer strips along stream banks will help hold them in place during times of flooding and high water. Using these strips also helps prevent water runoff from entering into the waterways. These buffer strips can include a cross section on trees, shrubs, and certain grasses. Re-establish Forest Cover - This one takes time and resources, and is seen mostly in state parks or conservation areas. It requires the development of a large tree-root network that will offer long-term solutions to soil erosion. It can also function both as a windbreak and a way to help anchor soil in place. Any of these ways to conserve soil, whether at your home or more large-scale, will help protect this very important natural resource, as well as provide a solution to one of the most important environmental issues. While you consider using a few of these soil conservation methods, consider the importance of soil and how it is more than just a pile of dirt! If you want more information on other kinds of conservation, check out Ranger Mac’s blog on wildlife conservation here!